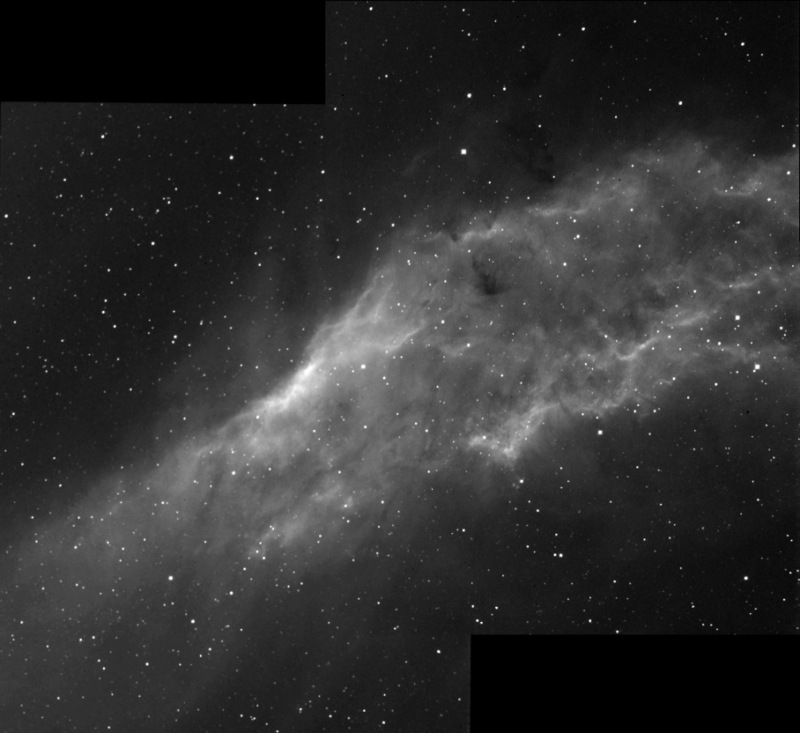 Mosaic of twenty 10 minute images, ten images for each pane. Filter: Custom Scientific 4.5nm H-alpha. Binned 2x2.